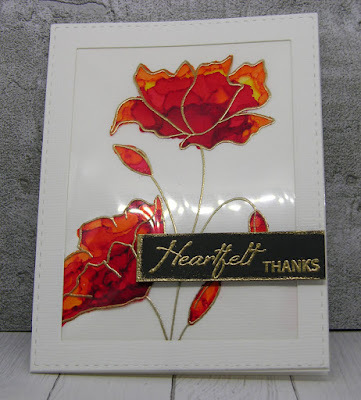 Thank you to everyone who took part in the Acetate Challenge. of styles and techniques in the cards you made. 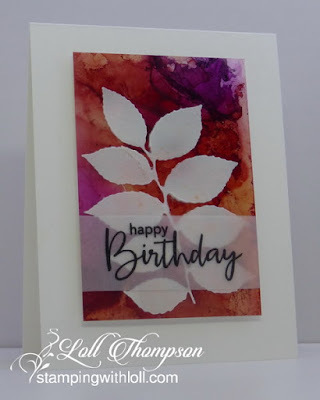 Thanks so much for sharing in the fun with us as we celebrated our 2nd birthday! 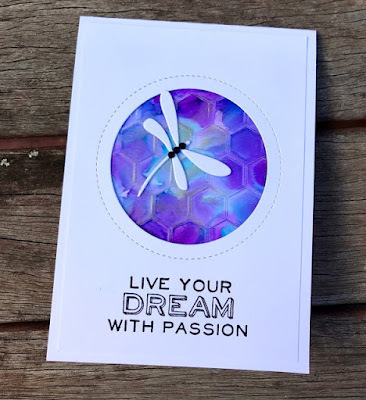 Jenny produced a fabulous card, incorporating two techniques into her acetate (alcohol ink and dry embossing), framing it and adding a beautiful dragonfly and a great sentiment. Above all, her colour combination is stunning! Top Pick for our 2nd Birthday Celebration! Congratulations to Sue, Maura, Birgit, Jenny, Marcia, Viv, and Lindsey! 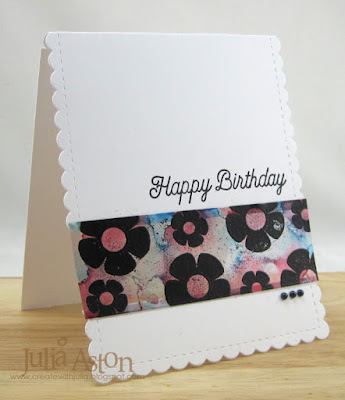 $25 gift certificate from Simon Says Stamp. The winner of the random draw is Ina! 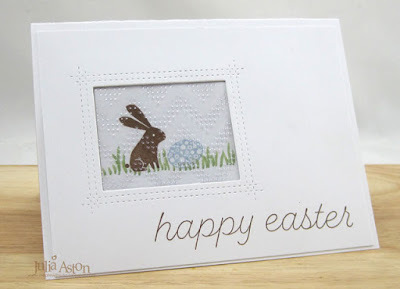 We will contact you shortly with your $25 gift certificate for Simon Says Stamp! April's challenge starts in a few days. See you on April 1st! It's already the middle of March (time is flying!) 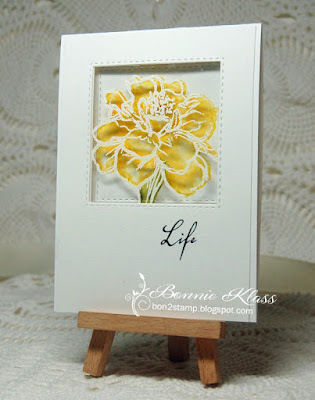 and I'm back to remind you that you only have until March 24th to link up a card using acetate. Thank you for all the great entries so far! 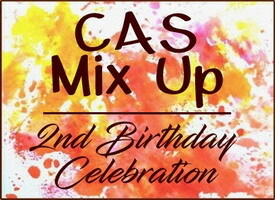 And this is an especially good month to enter a card as CAS Mix Up is celebrating its second birthday and there are prizes to be won! Now on to our mid-month inspiration! 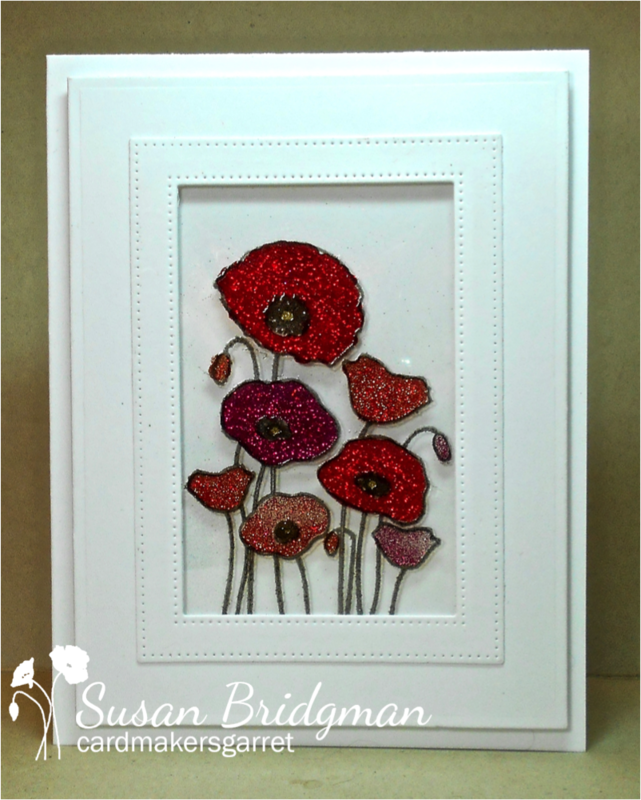 Stamping, Acetate, Die Cutting, Embossing, Alcohol Inks and Watercolour. Stamping, Heat Embossing, Colouring with Glitter on Acetate, and Die Cutting. 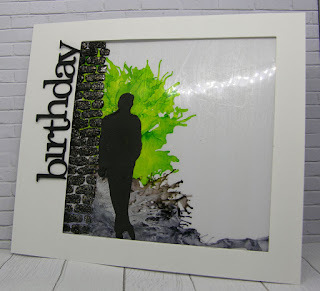 Acetate, Alcohol Ink & Tissue Paper, Stamping and Die Cuts. 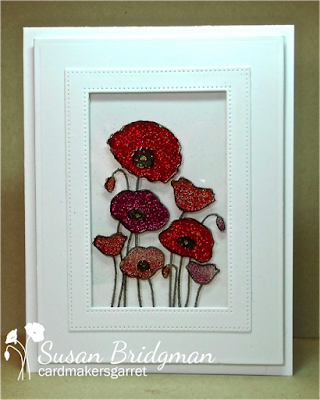 Heat Embossing and Alcohol Inks on Acetate, Stamping, Die Cuts, Half Pearls. 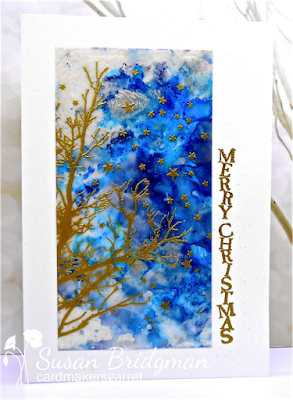 Acetate, Stamping, Alcohol Inks, Die Cutting, Heat Embossing, Stencil. Winner and Outstanding Designs will be announced on (month) 28th. 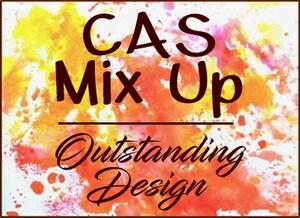 Susan here, hosting CAS Mix Up for the month of March. Before we start, I want to let you know that this is my last month at CMU. 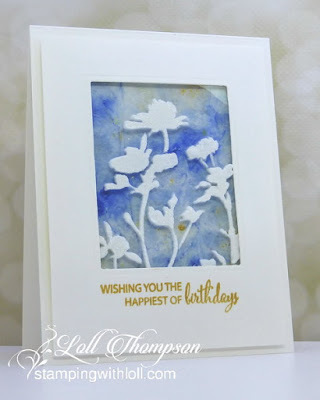 I am moving over to the Design Team at Loll and Bonnie's wonderful new CAS Christmas Card Challenge that starts in two days. I've loved being on CAS Mix Up and am sorry to leave, but Christmas cards are my first love! The good news is that my place on CAS Mix Up will be taken over by the incredibly talented Mac Mable (The Sweetest of Peas). 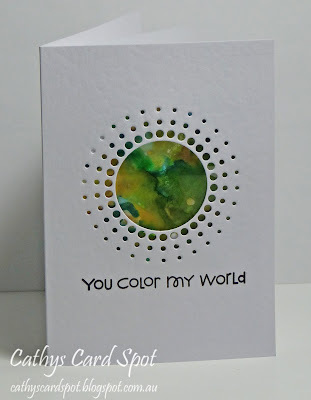 You will love her creations! Please welcome Mac as she is joining the team this month. We are also celebrating a birthday!! CAS Mix Up is Two! 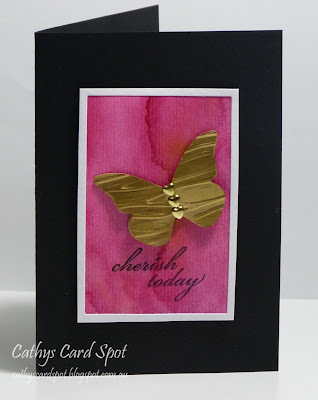 Come join our challenge and help us celebrate! We had some fabulous entries for the February "Felt, Cork, or Canvas" CMU challenge. 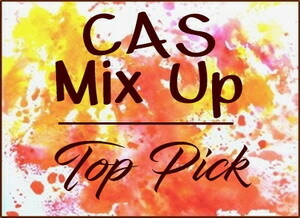 See the Top Pick by Hideko and all of the Outstanding Entries here. 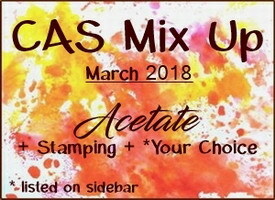 Now on to CAS Mix Up for March. 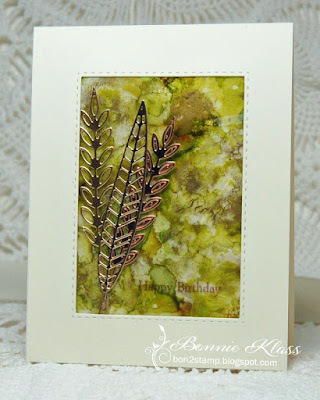 She won the January Plastic Wrap Challenge with this gorgeous card.